Solomon Power has come a long way from its cash-strapped and load shedding days. 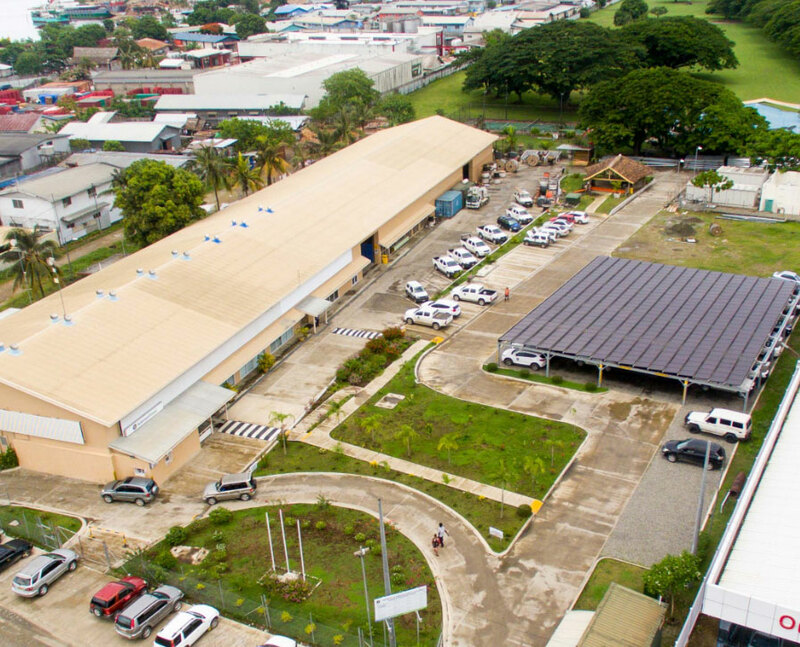 In a few short years it has managed to make a turnaround for the better and improve the reliability of its generation and distribution capacities not only in Honiara City but the outstations as well. Under the leadership of our current Chief Executive Officer, Pradip Verma, we have seen Solomon Power reach new heights with its quest to improve the service that it is providing as the sole Electricity Utility in the country. This would not have been possible without the donor partners such as World Bank and Asian Development Bank (ADB) who have provided the much needed capital and support to be able to make the plans a reality. The following are some of the highlights of 2017 and completed projects all with the aim of making electricity accessible to more Solomon Islanders and also improve the current service to its valued customers. Solomon Power’s projects are in line with SIG’s strategy for rural electrification and reducing greenhouse gases, as well as supporting its strategy to increase the footprint of electricity in the country. The first of its kind in the Solomon Islands, two new Solar Hybrid Power Stations for Solomon Islands were inaugurated on the 17th August 2017. These two solar hybrid systems are in Seghe Western Province and Taro in Choiseul Province. 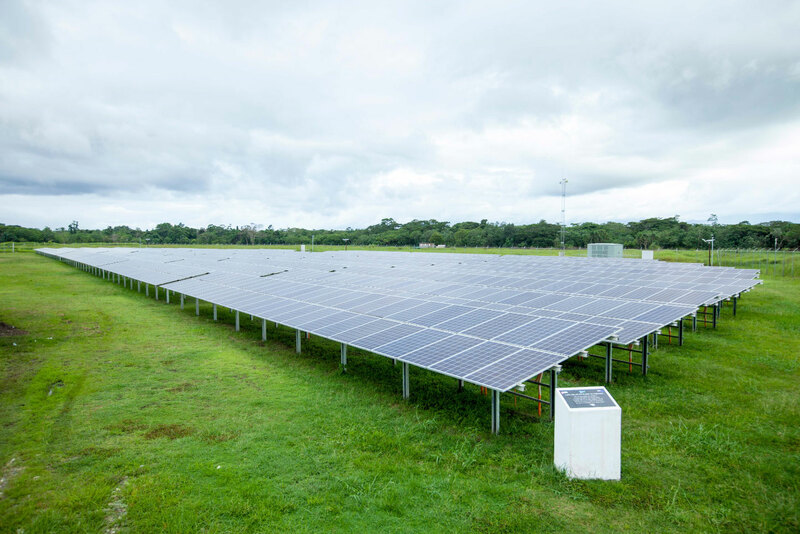 Both these Solar Hybrid Power Stations were fully funded by Solomon Power, at Capital Expenditure of approximately SBD 14million for the Seghe project and $17 million for Taro. The Seghe station has 150KW Solar Panels with 0.9 MWh Battery Storage while Taro has 225KW Solar Panels with 1.2 MWh Battery Storage. 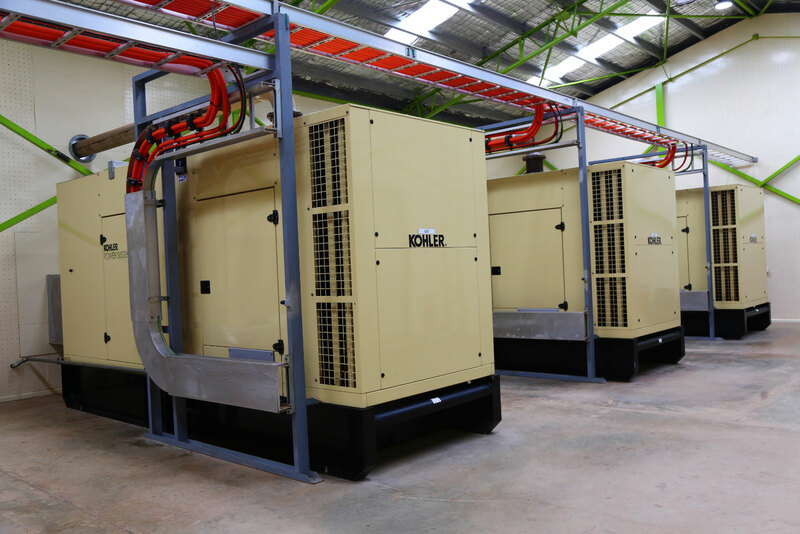 Both stations have 150kW Diesel Generator back up. On average the diesel generator will run for only 2 hours each day. Clay Energy was the main contractor for this project. Seghe is Solomon Power’s 10th Outstation, and Taro being the 11th opened after nearly 31 years (Malu’u was commissioned 31 years ago). These two new stations have registered 174 customers in Taro and 80 in Seghe. These two new stations bring the total number of power stations operated by Solomon Power to 11 after 31 years. They are fully funded by Solomon Power and the construction work was carried out by Clay Energy. Unlike the other 9 stations, these two new stations are run by a Solar Hybrid System. This is a combination of solar, battery and generator back up system. The Seghe station has 150KW Solar Panels with 0.9 MWh Battery Storage while Taro has 225KW Solar Panels with 1.2 MWh Battery Storage. Both stations have 150kW Diesel Generator back up. 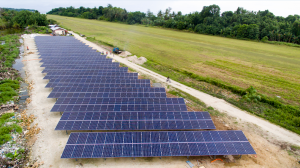 Two other solar farms have earlier been commissioned. A 1.0MW grid connected Solar Farm at Henderson on Guadalcanal was jointly funded by the United Arab Emirates (UAE) and the New Zealand Governments and commissioned in June 2016. This Henderson Solar Farm is supporting power generation through the Lungga Power Station 11kW system. 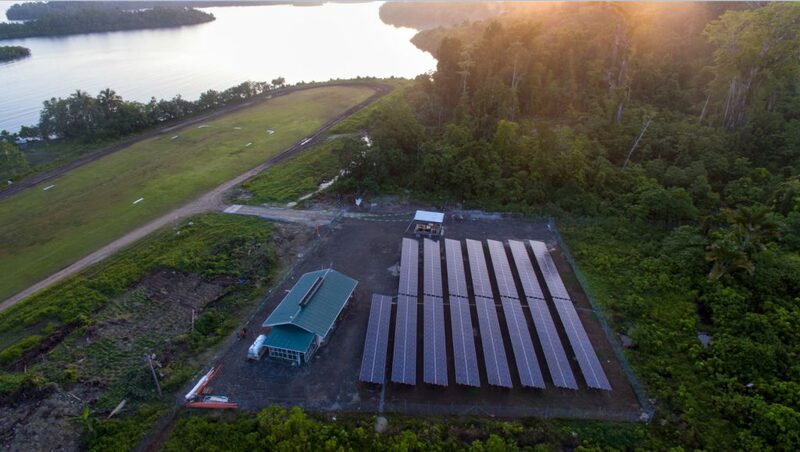 These two solar farms have displaced a substantial amount of diesel fuel since commissioning, an excellent outcome for Solomon Power and the people of Solomon Islands. In its bid to slowly move away from heavy reliance on diesel fuel, Solomon Power will also convert five existing power stations to Solar Hybrid stations. They are, Munda, Malu’u, Lata, Kirakira and Tulagi. This project will be financed through a combination of loan and grant from the Asian Development Bank (ADB) and funding from Solomon Power. This World Bank funded initiative which aims to provide more access to electricity to low income earners was started at the end of 2016 and has been carried out in 2017. As at 5 December 2017, 316 customer connections have been energised through the OBA project. These are customers at Honiara, Seghe and Taro. Under this programme, the customer applies through the normal processes with Solomon Power engaging a licensed electrician to wire the building with two light bulbs and one general power outlet (GPO). The cost of service line is also fully subsidised by Solomon Power which covers one power pole. The maximum load of each installation is 10 Amperes. Installation cost for Cashpower meter is $800, with $200.00 upfront payment required, and the remaining $600.00 put into their cash power account to be automatically deducted upon every transaction until the $600.00 is cleared. Solomon Power is taking the program to Auki, Noro andMunda. This is so that more customers can benefit from this scheme into the New Year. 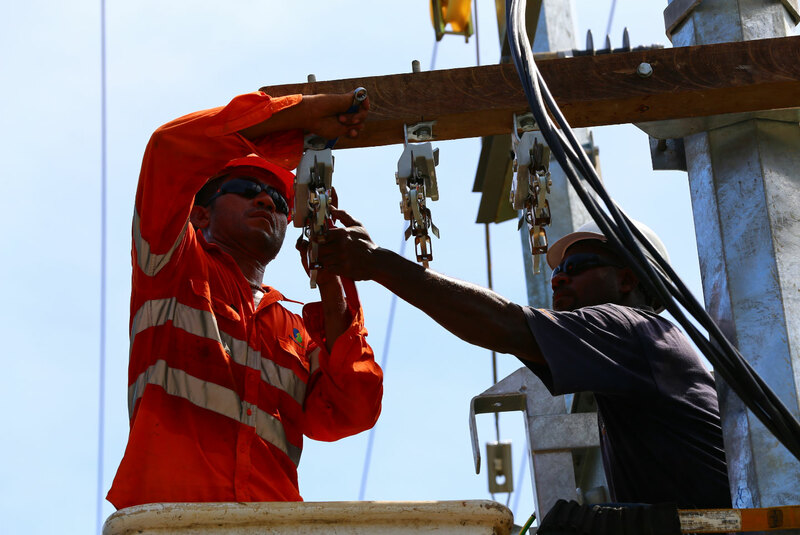 This project brings power to areas within Honiara that still have no power. This SBD$15.1m dollar network upgrade and extension project has seen 9 sites in and around Honiara being hooked up to the grid. They are namely, Titinge, Tinge; Tasahe B; Green Valley/ Mount Austin; Seven Up; Mbaranaba/Ohiola; Lungga/Markwarth; Foxwood/Redbeach; and GBR/Henderson. This will ensure that more Solomon Islanders have access to electricity. This program was carried out in order to improve the generation capacity in some selected outstations namely, Auki, Noro, Munda, Gizo and Tulagi. 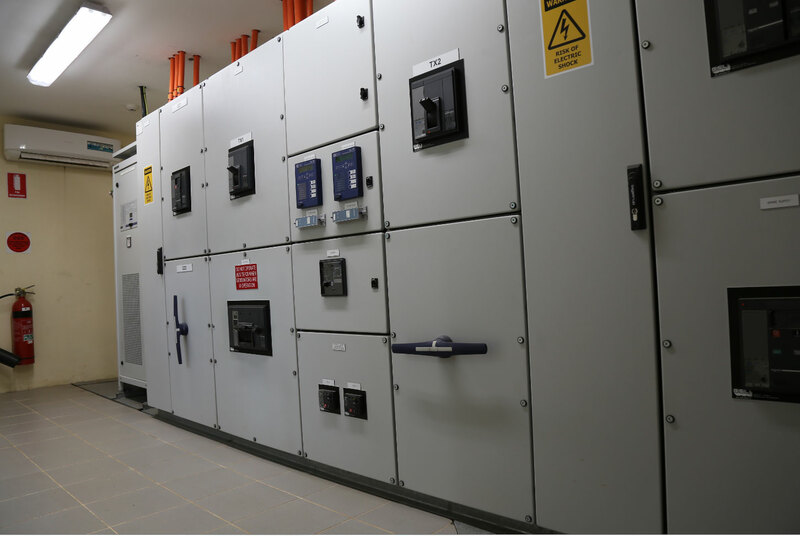 The scope of the work included the upgrade and installation of generators, switchgears, transformers and Ring Main Units (RMU). These upgrades have been completed in the second and third quarter of 2017. These stations now have a G-1 capability, meaning that if one generator should be turned off for some reasons, the other running generators can still hold the load demand of the town. This is good news to these urban centers, as it means that normal business activities will not be disrupted. On the 2nd of June 2017, the Second Phase of the Ranadi Complex Upgrade was completed which was the extension on the east-wing of the second floor. 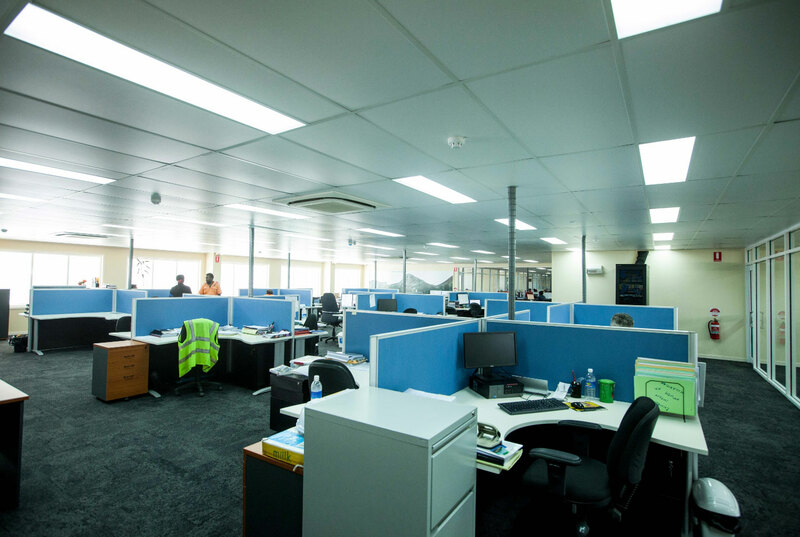 This extension was purposely built to house the engineering team, thus providing a conducive working environment for the Solomon Power Engineers to work and bring the Solomon Power aim of service improvement to a reality. 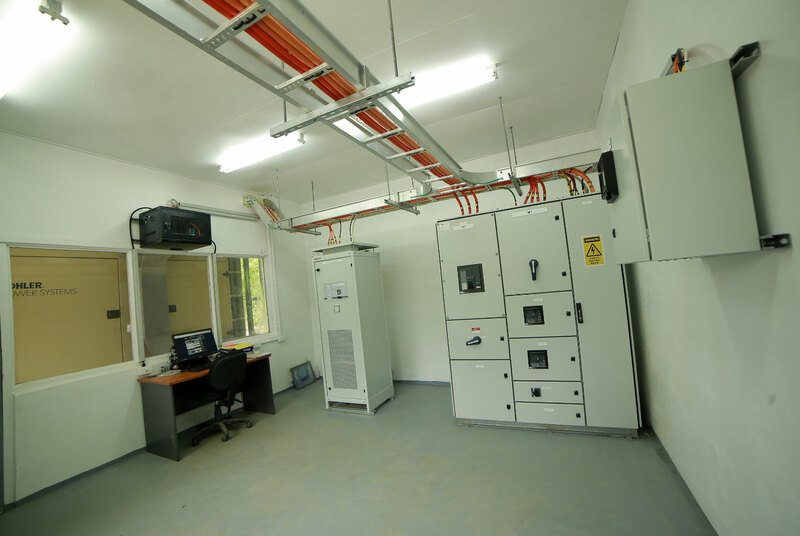 A new room has been built for the Meter Test Bench and also for the testing of electrical appliances & equipment. The Meter Test Bench was necessary for Solomon Power to verify and test the accuracy of the Electricity energy meters that are installed at customer premises and its function is to test all types of energy meters in an effort to provide a general description of the functioning of watt hour meter testing and calibration techniques to achieve the required accuracy of a meter. The Meter Test Bench manufactured by Itron of Spain is state of the art equipment and is able to test ten (10) meters simultaneously. 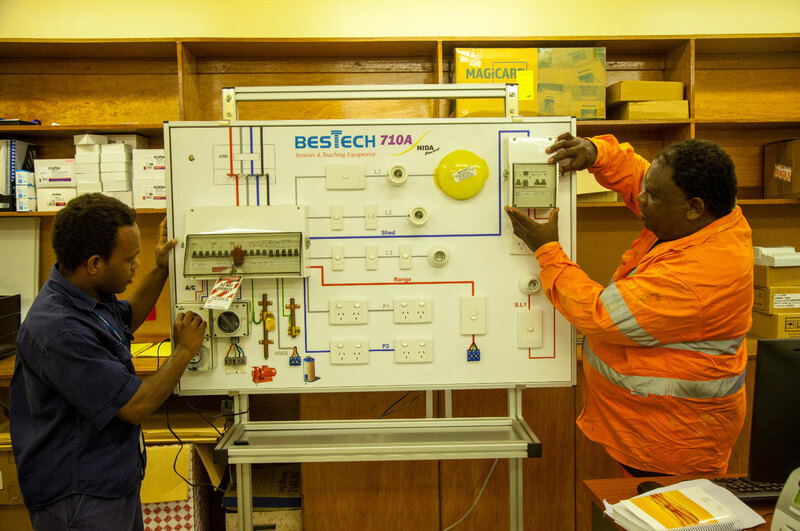 With the completion of this room, meters can now be tested before being installed, to ensure non-technical losses are reduced. 2017, the Electricity Tariff (Base Tariff and Tariff Adjustments) Regulations 2016 commenced repealing The Electricity (Tariff) (Automatic Base Tariff and Fuel Price Adjustment) Regulations 2005. Since then, Solomon Power has operated under the new Electricity tariff which is lower than the previous one and is adjusted monthly. The weighted average tariff in 2017 has reduced by 12.5% in comparison to the tariff in 2016. The Regulation 2016 has two types of customers; Regular and Non-Regular. Under these two broad types there is further division as Domestic, Commercial and Industrial customer categories. The tariff additionally has 12 tiers for Regular Customers (4 for domestic, 5 for Commercial and 3 for Industrial) based on monthly consumption range. This is a major milestone that Solomon Power has done in order to help the customers to enjoy electricity and boost economic development. 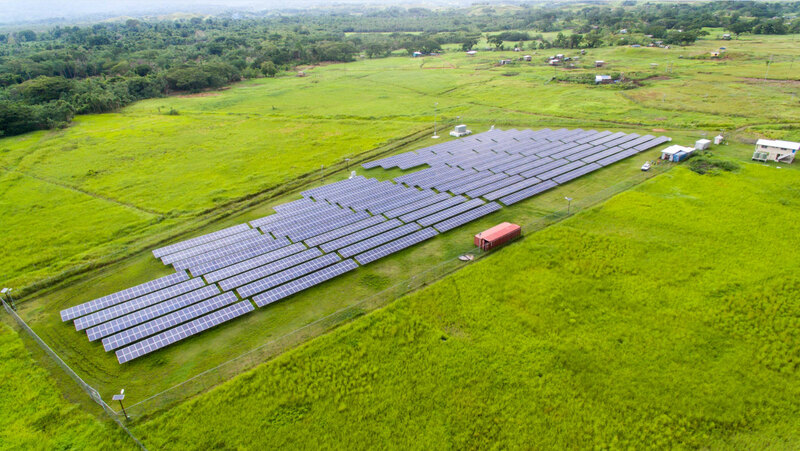 Future plans for the coming year are the proposed building of two new solar farms one at Tanagai (west of Honiara) and the other at Henderson; complete the relocation of Feeder 12, re-development of the Ranadi sub-station, development of Kola’a Ridge sub-station; new development of the East Honiara sub-station site as an Industrial Park; complete Honiara Power Station re-development; and the completion of deployment of Smart Meters to commercial and industrial customers. All these projects are aimed at increasing accessibility and improving reliability of electricity and service. Solomon Power is happy to let all the good people of Solomon Islands know that in 2017, many new improvements and milestones have been achieved that have seen the improved quality of service. With the new upgrades and installations of state of the art equipment, Solomon Power is reforming itself to ensure that its role in nation building is realised. Solomon Power wishes all our valued customers and our beloved nation Solomon Islands a very Merry Christmas and a Prosperous New Year 2018. Solomon Power, energising our nation.